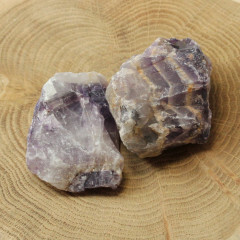 This beautiful stone is a gorgeous purple variety of Quartz, and is one of the most well known and well loved gemstones. In jewellery, it is used in almost every possible way – sold rough, polished, cut into cabochons and even occasionally faceted. 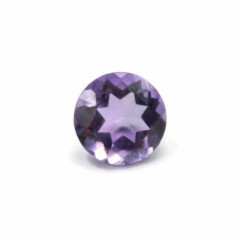 The allure of this stone has always been unmistakeable with its distinctive violet hue and tone. While there is a fairly wide range of shades, the translucent and transparent purples are considered the most valued. It can be anywhere from a very pale lavender to a dark purple. 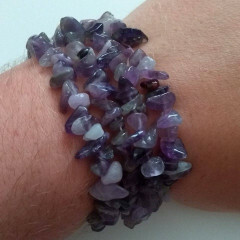 It is a purple variety of quartz, defined by its complex crystal lattice pattern and its hardness, which makes it ideal for jewellery making – measuring 7 on the mohs scale. Many semi precious rings and other forms of jewellery use cabochons cut from this stone; either as a feature stone or a decorative extra. The ancient Greeks believed that by wearing and adorning their drinking vessels with amethyst it would prevent intoxication. This is perhaps why it has long been associated with getting rid of addictions and other destructive compulsions. 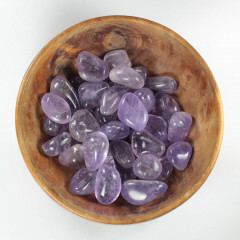 It is meditative, calming and promotes balance and peace. It is also used to eliminate impatience. It is considered to stimulate the Third Eye, Crown and Etheric Chakras while enhancing cognitive perception and psychic ability. It is the traditional birthstone for February.